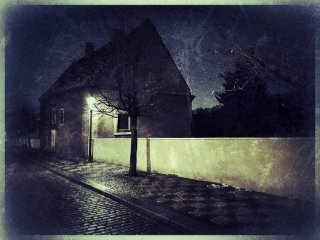 Prague, with its secret courtyards and magical atmosphere, is revealed in a multimedia walk through its mysterious streets with leading Czech writers Markéta Pilátová and Michal Sýkora who wrap the beauty and history of the city into the noir genre and bring its shadiest/darkest corners to life. Extracts from the newly published Prague Noir anthology will be read by actors against a backdrop of the visual and musical Prague landscape to create an unmissable experience. Join the book’s editor Pavel Mandys, writers Markéta Pilátová and Michal Sýkora in a discussion of the noir genre. Markéta Pilatová is a writer, journalist, children’s book author, translator and hispanist. Her books have been translated into German, Dutch, Polish, Portuguese and Spanish. Her novels The Yellow Eyes Head Home (2007) and My Beloved Book (2009) were nominated for the top Czech literary awards Magnesia Litera and the Josef Škvorecký Award. She also writes for children, and her most acclaimed novels are The Fairy Vivivilla and the Shadows of Animals (2009), and Kiko and The Secret of the Paper Butterfly (2010) which was nominated for the Magnesia Litera Award. Michal Sykora, an assistant professor at Prague’s Academy of Theatre, Film and Media Studies, focuses mainly on British detective stories and modern fiction. He has written a two-volume monograph on Vladimir Nabokov and two other works of literary scholarship, but is also an author of detective novels inspired by the British detective genre. Three of his books (The Case for an Exorcist, Blue Shadows and It’s Not Over Yet) have been adapted for the screen and shown to great acclaim on Czech TV. Pavel Mandys has worked as a literary and film editor for the Week magazine and is now editor of iLiteratura.cz. He regularly contributes to the Czech press – Lidové noviny, Hospodárské noviny and A2. Mandys co-founded and co-manages the Magnesia Litera Annual Book Award. He is the author of The Idiot and his Return (together with Saša Gedeon, 1999), Prague, City of Literature (2012), 2×101 Books for Children and Young People (editor and co-author, 2013) and editor of Prague Noir (editor, 2016).